Getting ready for a move may turn out to be more challenging than you first thought. It is not only a logistical nightmare but it can wreak havoc on your nerves. On the other hand, the very idea of living somewhere new is an exciting proposition: New people, neighbourhoods, parks and cafes! With a little planning, you can make your move a highly rewarding experience. We’ve put together a quick list of tips to make your transition easier. The price of local and/or long-distance moves in Canada is typically calculated based on the number of hours the movers work to get the job done. You will have to pay additional costs for any extra services requested– packing, storage, etc. When you are entrusting your possessions to someone else, you'll want to be certain the moving company is reliable and trustworthy. That's why you should be cautious about "move brokers" who advertise moving services but don't actually own the equipment, employ drivers or own their warehouses. Rogue movers take no responsibility for the quality of service provided, nor will they assist you if there are any problems. The Office of Consumer Affairs offers a handy list of questions to ask a potential mover to be sure they're reputable and that you have a thorough understanding of their services and the costs involved. Check the Canadian Association of Movers and the Better Business Bureau to see if the company you're considering is certified and if there are any complaints against them. Moving is an ideal opportunity to get rid of items you no longer need or want. As soon as you know you’ll be moving, go through your home and identify things you can sell, donate or dispose of. This will help you save money whether you’re moving across the country or across town. Long-distance moving costs are dependent on the weight of shipment, so reducing the weight will help reduce costs. Local moving costs are based on the number of hours required to move your belongings; the less stuff you have, the faster your move will go! Summer is the peak season for the moving industry, and movers' schedules fill up quickly. After you've done some research to narrow the field, contact your top three choices and get cost estimates. Once you have decided who will move you, confirm your order with them to ensure a truck and crew are reserved for the moving date you want. Changing your Driver's license: Typically, there is a fee associated with changing your driver's license and health card in a new province. when you move to a different city or province. Provincial government sites will have this information posted. 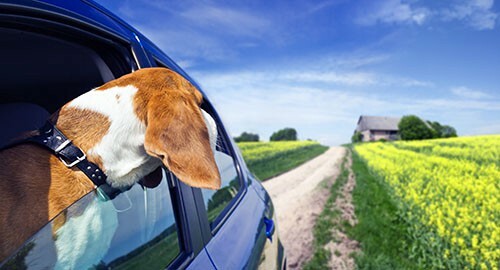 Extra costs of travelling with pets: Whether you are flying or driving, there will always be extra costs associated when travelling with a pet. Be sure to add this to your budget. Gas: If you're making a long-distance move and you decide to move yourself, Canada is a pretty big country to drive across, wouldn't you agree? Food/Accommodation: You will have to account for any hotel rentals and the cost of eating out until you get settled in your new digs. Cancellation Fees: You may incur costs of cancelling any subscriptions and services you have in your current city, and these can add up. Plan ahead. Released Liability: Moving companies generally offer basic insurance coverage for your goods. With this option, the carrier's maximum liability is $0.60 per pound per article when moving long distance, and $0.60 per pound when moving locally*. Replacement Value Protection: For an extra charge, you can increase the coverage on your shipment and ensure protection to the replacement value of your possessions. Items of Extraordinary Value: This category refers to individual items with an individual replacement value (and matched sets with a combined value). If you are moving, be sure to arrange for your mail to be redirected so you don't miss anything important. When you move, you can change your mailing address online and redirect your mail using the Mail Forwarding tool from Canada Post. The process is simple, and the fee is the same as you pay when you go to a postal outlet to fill in a form. 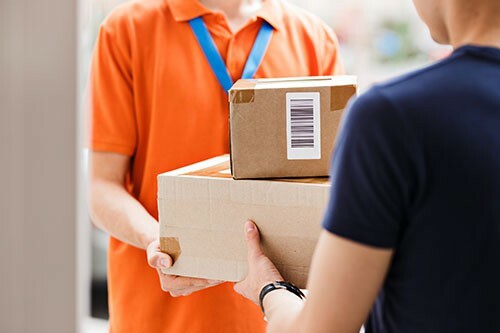 The cost of mail forwarding varies depending on where you move, and different costs apply to individuals and businesses. You can make a permanent address change, which will forward your mail for up to 12 months, or a temporary address change if you're going on an extended vacation or wintering down south. The tool also allows you to select whether to have businesses informed of the address change. For residential moves, you must submit your request at least five days before you move. 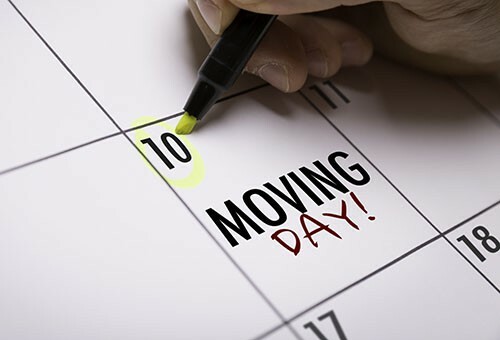 For business moves, you must submit your request at least 10 days before you move. Canada Post recommends filing your request up to 30 days before either type of move. Moving can be really hard, whether it's across the country or across town. But if you let the stress get to you, it's only going to make it harder. Try to enjoy the process and focus on the end result. Think of how wonderful it's going to feel when the whole thing is over! If you find yourself starting to get over-stressed, you're probably putting too much pressure on yourself and your family. The added pressure is only going to cause more stress and potentially lead to you forgetting something important during the moving process. It can also make the entire process completely miserable for you and everyone around you. When you start to feel overwhelmed, take a break and get away from the moving process for a while. If you've started the process early, you'll have plenty of time to get everything done. Follow our tips and your move can be relatively stress-free. You are off on a new adventure, and with proper planning, it might even be fun! If you are an existing Direct Energy customer and moving within Alberta you can transfer your account to your new home via your Online Account Manager account (OAM). If you do not have an OAM account you can register for one or call the call center at 1-866-374-6299.